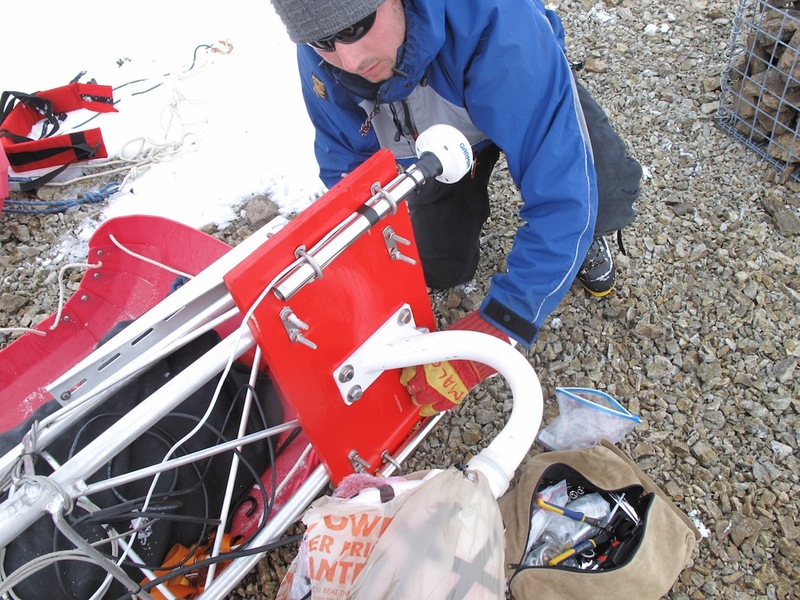 The LARISSA team flew to Site Beta, Ellen Mosely-Thompson's ice core camp, to install an AMIGOS station. Ted writes: The day after our first attempt to get in to the Peninsula ridge crest, we awoke to a near perfect morning, a clear and bracing breeze blowing across Barilari Bay (Chocolate bar is claimed, it is pronounced bari-LAR-i, in other words, Italian style). The promising weather brought early wake up calls and some fast preparations to the whole crew. By 6 a.m. the ship was wide awake and moving ahead with helo ops. We mapped out a very full day, to take advantage of the weather. 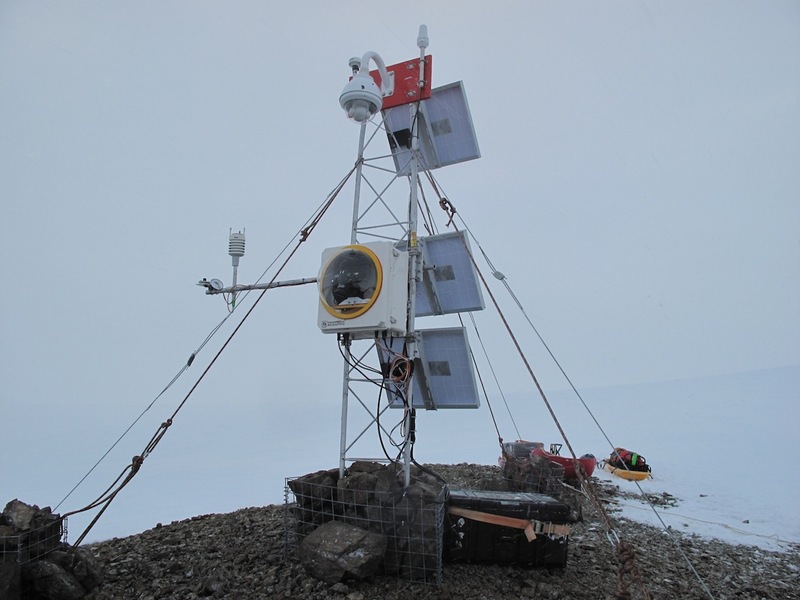 We would install our first AMIGOS at Site Beta, the ice core camp of Dr. Ellen Mosely-Thompson, where we surveyed in December. 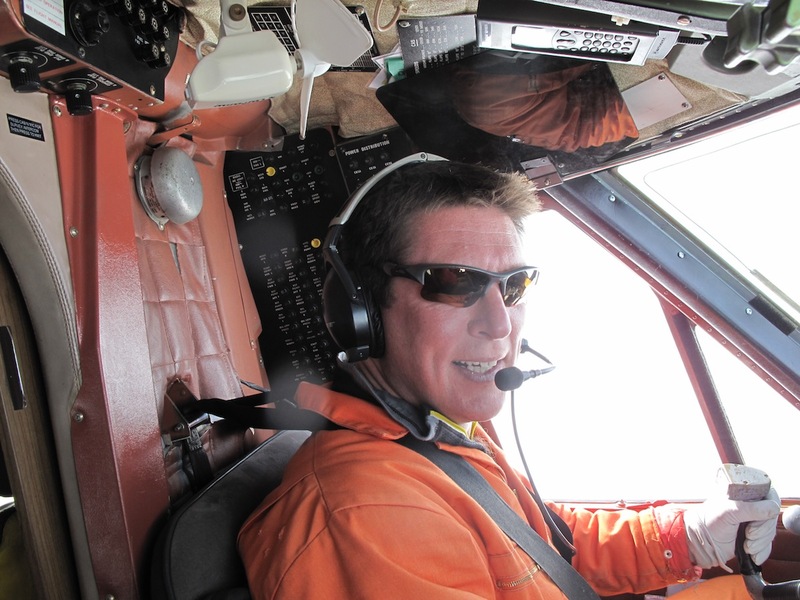 Then we planned a reconnaissance flight of the next three sites on the glaciers feeding the Larsen Ice Shelf. After that, we would try to install the GPS site on one of them (Leppard). 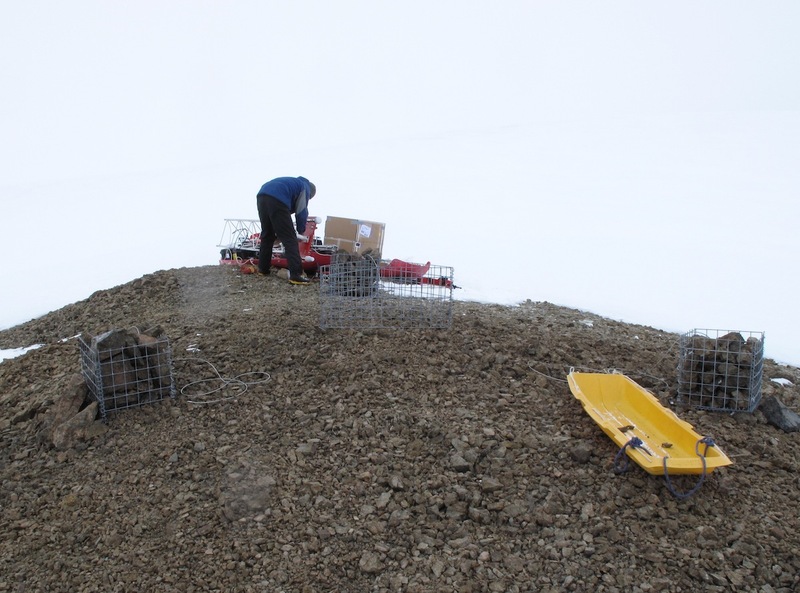 We had a brief delay, though, because the weather at the ice core site still had not cleared by 7 a.m. It was surprising, because we could see such a good sky above them. By 8 a.m., though, the camp manager, Thai Verzone, gave us a better than even chance of getting in. We took it. 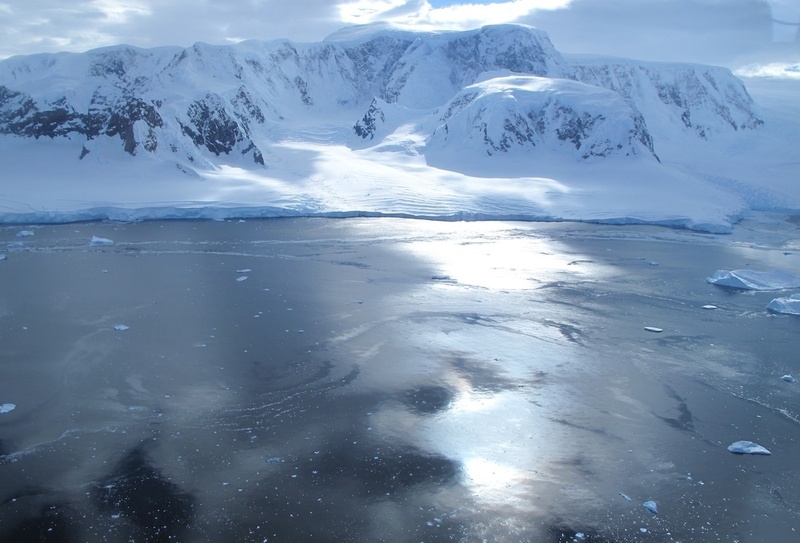 The grease ice, or very thin frazil ice, in Barilari Bay, gives the water a shiny luster. The climb off the ship was a rush; it always is. Usually a song pops into my head on take-off (like ‘Back in the USSR’ by the Beatles), but this time it was a poem: High Flight, by John G. Magee. And our day matched the words: clouds and sky and swooping, flowing, frozen terrain, things you have not dreamed of. The sun glinted off the water. A freezing slurry of ice crystals forming on the surface gave it a surreal appearance. 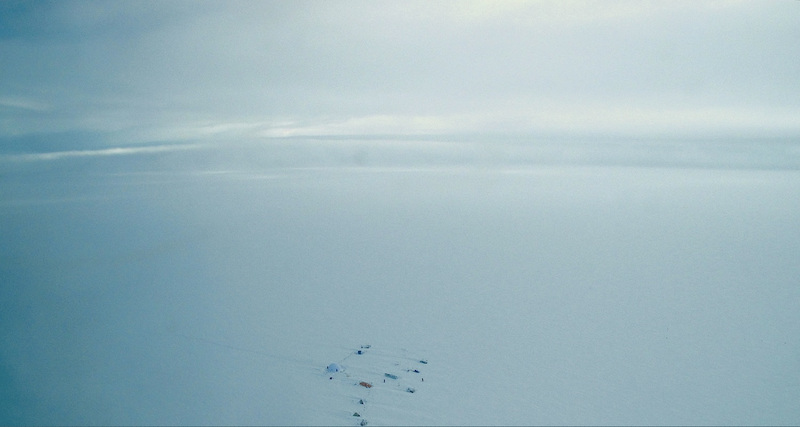 We charged upward, needing altitude to reach the ice camp, through a glacier we called The Gateway. (Yes, I’m a professional glaciologist. No, I don’t know its name. There are 160,000 of them. Some of the names have slipped by.) It was covered with cracks and crevasses, written there by the churning and grinding forces that move the ice. At the top, one last, broad semicircular crack, a bergschrund, marked the start of the ridge plateau. 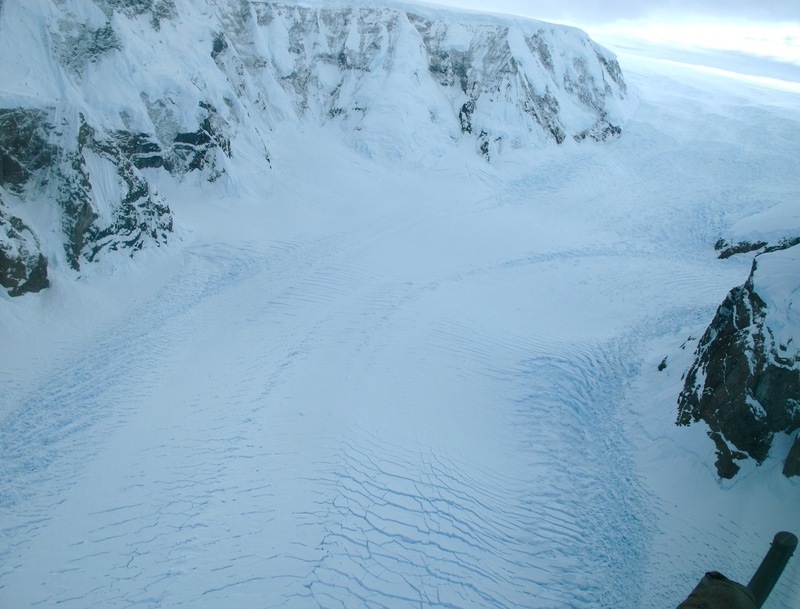 The helicopter flew over this glacier on the way up Site Beta. 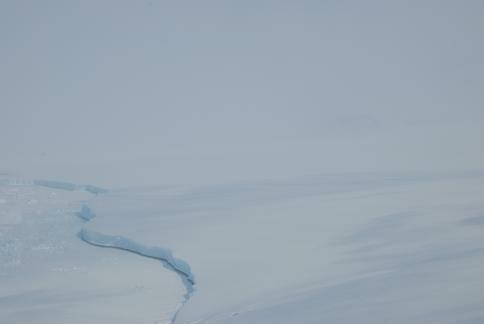 On the narrow ridge of the Antarctic Peninsula, we felt like we had left Earth behind and arrived on an ice planet. Within about ten minutes, we could begin to see a scattering of specks on the snow so small: a working science town of six, 150 miles from the nearest permanent base. 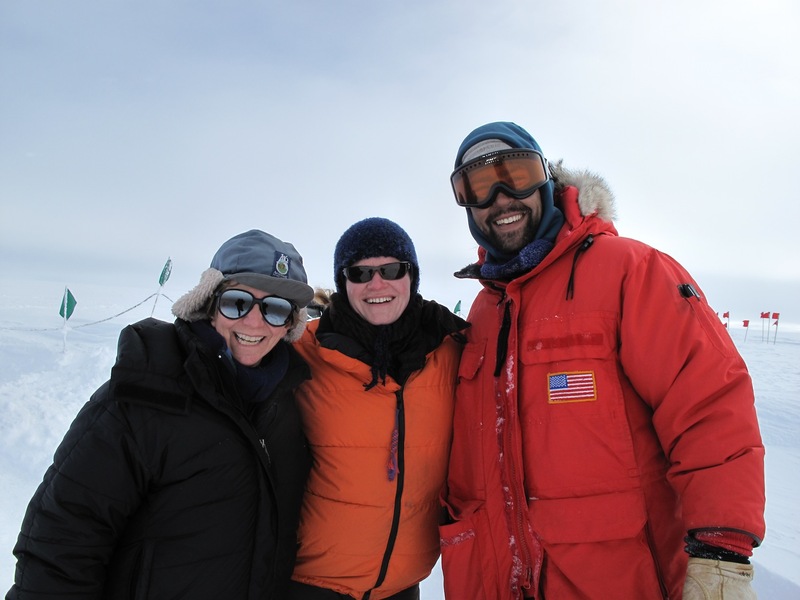 Dr Ellen Mosely-Thompson, the pixie-like director of the Byrd Polar Research, and Thai Verzone, cheery and linebacker-sized, greeted us as we landed. I hugged Ellen, and felt as if I nearly broke her. Then Thai hugged me and I knew what that felt like. 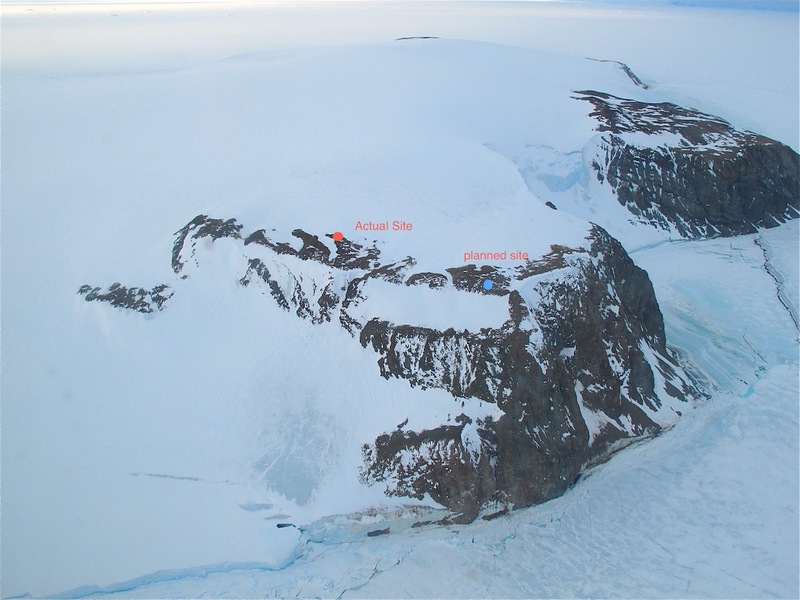 Ellen has been pursuing climate records of Antarctica for a good while now, and she is dead set on getting the past few thousand years’ record from this site. The Peninsula is warming rapidly because of global climate change. How does this cycle of human-caused climate change differ from those warmings and coolings of past millennia? She hopes the answer lies here. 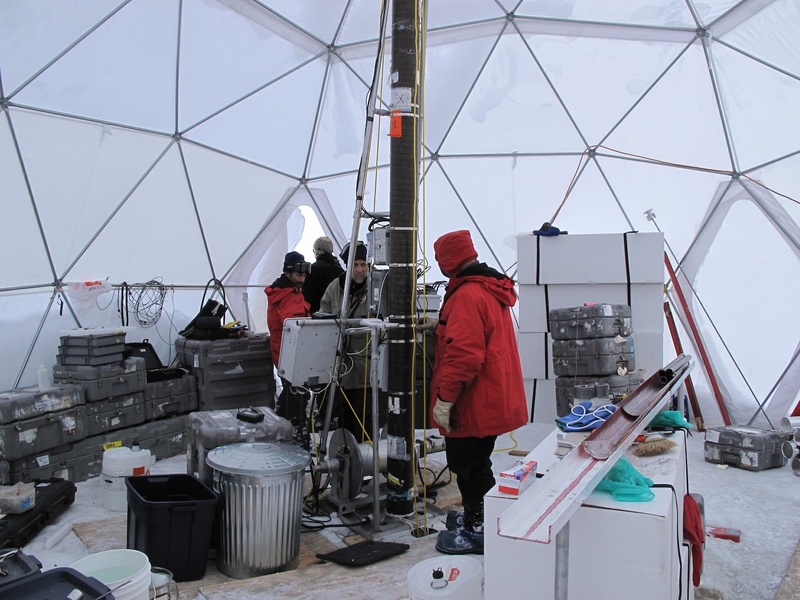 Researchers discuss how to un-stick the ice core drill, inside the dome tent. 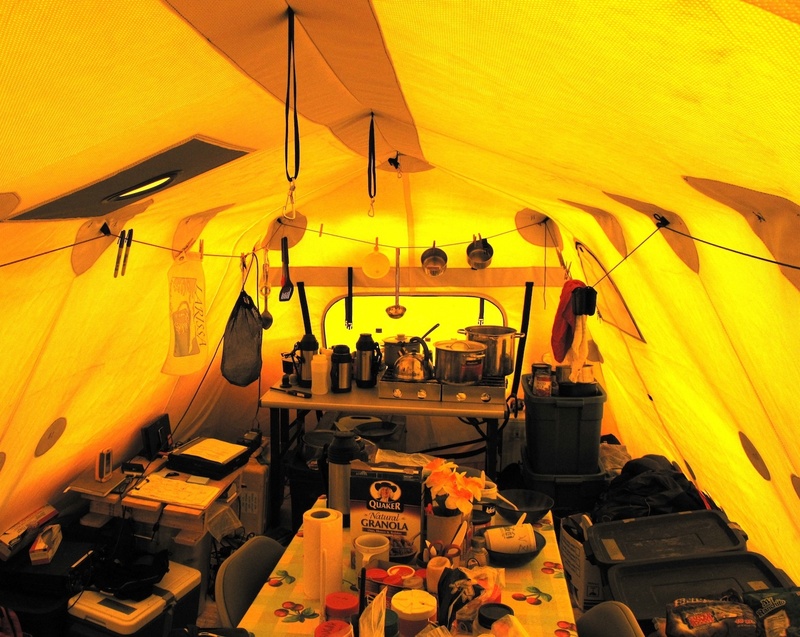 Two large tents dominate the camp: the dome, where the drilling happens, and the cook tent, where the eating happens. In Antarctica, the two require almost equal amounts of time, with sleeping coming in third sometimes. Erin and I walked over for a look inside the dome. Inside were Ellen’s colleagues, Victor Zagorodnov and Vladimir Mikhalenko, two Russian and Ukrainian scientist-engineers who know ice coring the way Stradivarius knew violins. As we stepped in, a strong smell of ethanol assailed us. They are using the fluid to keep the cold, deep core hole open against the tendency of ice to flow. 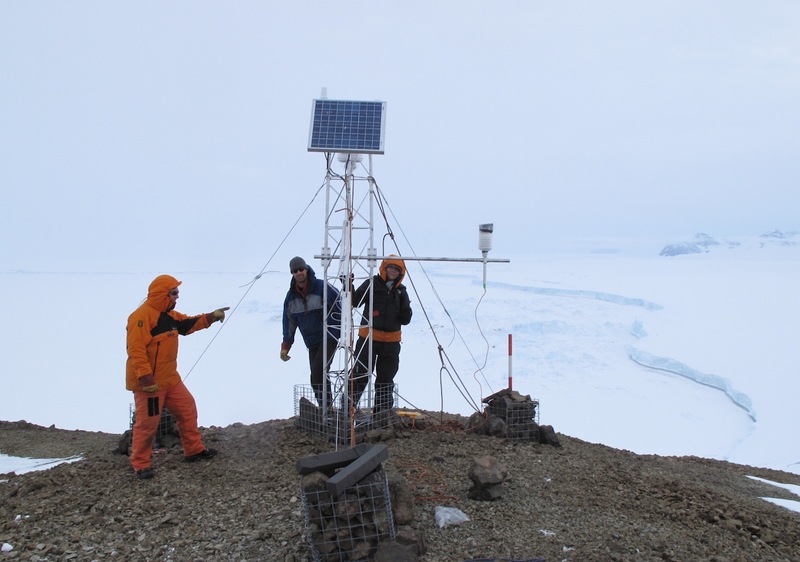 The core was temporarily stuck, at 380 meters, and it was impressive to hear Victor and Vladimir discuss ideas for clearing it. Remember, we are in the middle of nowhere. In fact, the whole team was working the issue. 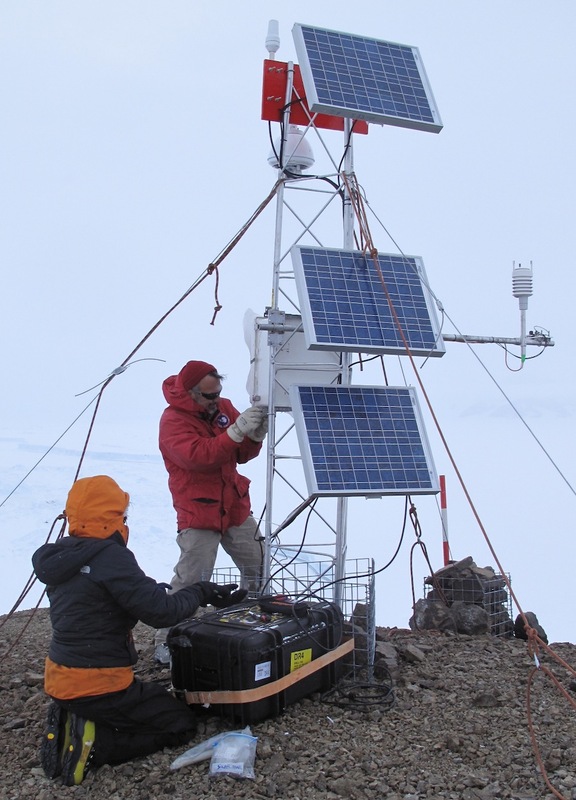 Benjamin Vincencio is a Peruvian scientist who has worked with the Thompsons for many years, and Roberto Fillippi is an Italian graduate student on his first trip to the ice. 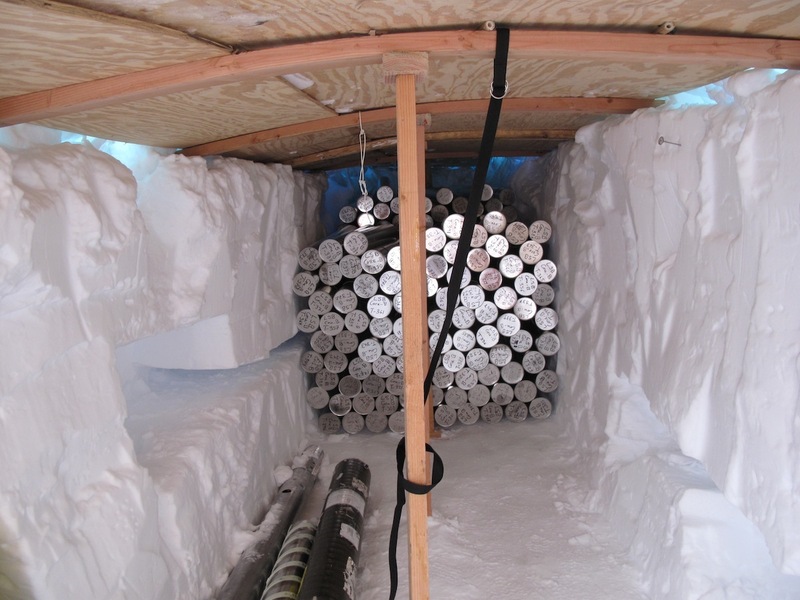 Adjoining the dome tent, sunk into the snow, is the accumulated 380 meters of time in a bottle, the ice cores that record nearly every detail of the areas past climate. We heard a helicopter approach again. Ronald and Terry had arrived to build the AMIGOS system. But stepping outside, we saw that the weather was declining. Terry and Ronald got right to work on the tower, thinking that we were going to get this in just under the wire. In fact, the wire had already swept past, with the ship and the ridge-top coming under increasing cloud and wind. Not terrible, but cloudy and frosty, with an ice fog and temperatures of about 10 degrees F.
We realized we would have to spend the night. The weather at Site Beta has been notoriously bad since December, when we were stuck in our tents waiting for pick-up. It could be ten days before a weather window that included the ship and the ridge-top site occurred again. Was the ship going to be pinned in Barilari Bay for ten days, waiting to fly us out? That would be a huge amount of resources to tie up. Not to mention boring the heck out of 44 of the worlds best polar scientists. Ellen Mosely-Thompson provided tents and sleeping bags for the visitors. We had minimal gear, just the survival bags that NSF issues anyone going into the field. But one of the keys to building a great survival bag is that you don’t want people using it unless the alternative is not surviving. So the gear is pretty light and simple. Fortunately, the camp had spare tents and gear. 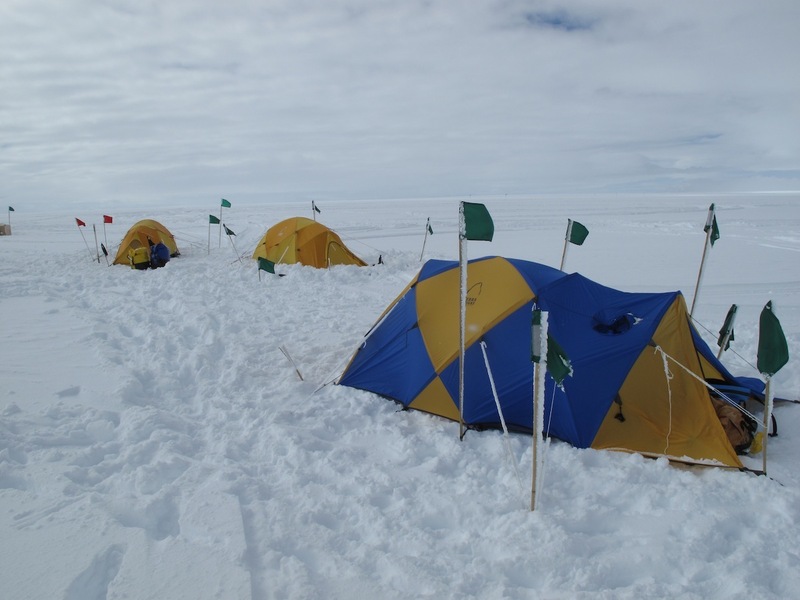 In fact, it was the bundled-up camp that Erin and I had worked from in December. By afternoon, Erin and Thai had set up a new suburb of Beta City, three tents and sleeping bags inside, for the four of us. Martin had stayed on the ship to organize the aborted follow-on installations. We had a fun afternoon, snow falling, puttering away on the AMIGOS tower, snacking, chatting with the drill team. Dinner was a very international thing: Russian jokes, American jokes, Peruvian jokes, Girls on Ice jokes, and Swiss jokes (don’t tell Martin). 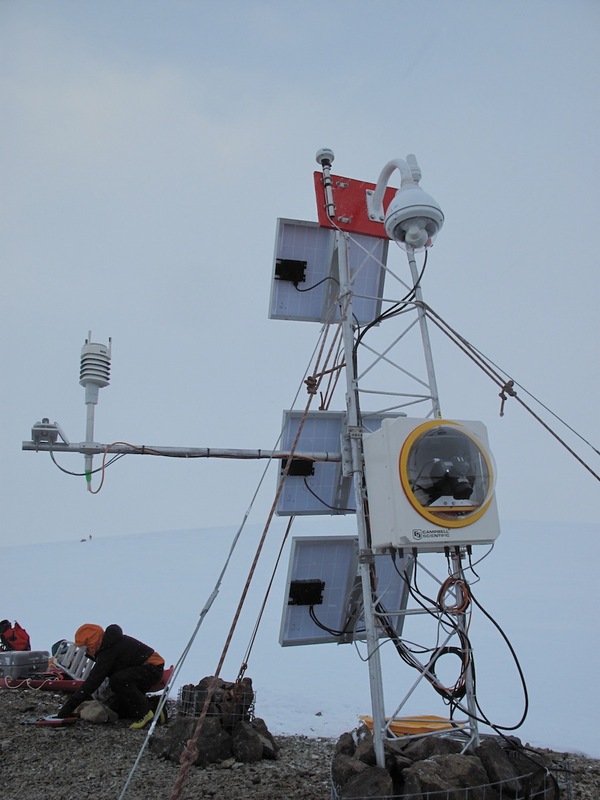 When not in the dome tent drilling ice cores, Ellen Mosely-Thompson's team spends much of its time in the cook tent. But we were concerned about what we were going to do. Another day passed, and the weather was still bad. The helo pilots managed to fit in one flight, bringing up the main contractor from the ship for a look around; but it lasted just twenty minutes, in weather that was near impossible. Later, another pull-out was scheduled, but conditions were terrible: at one point, we saw the underside of the helicopter passing overhead, but it couldn’t land. We could stay for an extended time, there was plenty of food and fuel, but we would be unable to work on anything, and we would be holding up the ship. 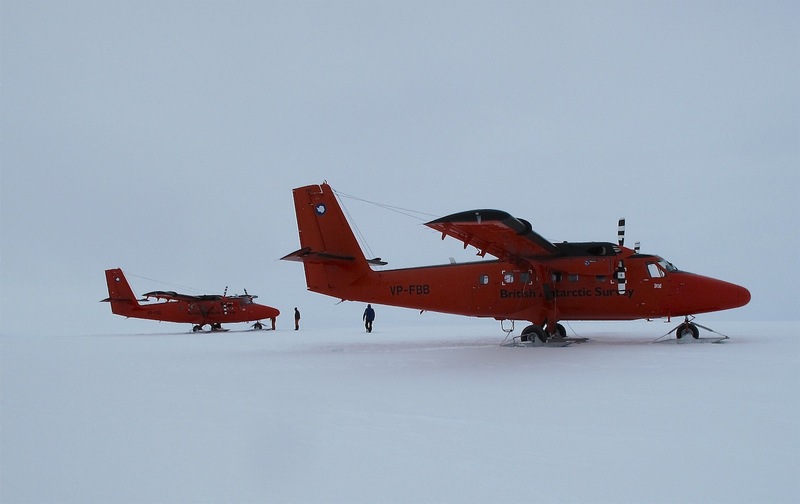 We came up with a plan for a pull-out of ice core by Twin Otter (an aircraft a two-engine delivery truck with wings) based in Rothera, a British base about 150 miles to the south. Could we go to Rothera and free up the ship to sail north to biological sites and use the T/O to do our installation work from Rothera? We began making calls (on Iridium) and emails (on digital Iridiums). The next day brought beautiful conditions to Site Beta, a rare day indeed. But the ship was totally socked in. 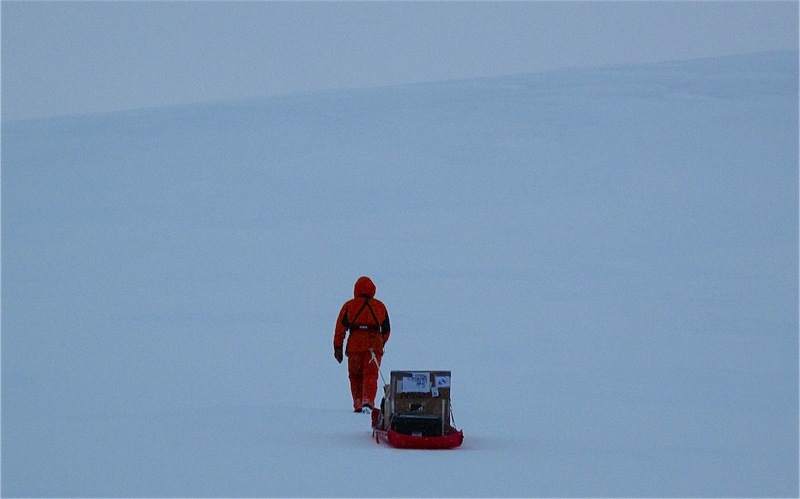 No final word yet on our Twin Otter plan, but a Twin Otter was already on the way, to take ice cores to the Rothera freezer. Terry Haran smiles after "body surfing" the Bruce Plateau. 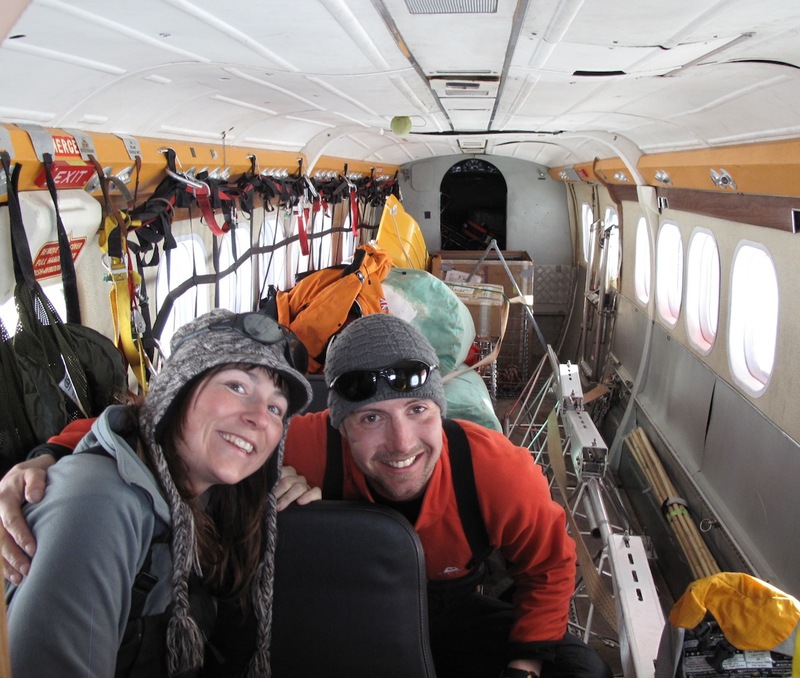 Erin and Terry did a last re-survey, to ensure we had good GPS topography data of the region. Erin drove, and Terry rode along to hold the GPS upright. But in blue-sky, sunny, dry snow conditions, any outing is a joy ride. “I body surfed the Bruce Plateau!” Terry said. We asked for space on board and in exchange for five boxes of time coming out, there was enough room for us. We flew. On laughter-silvered wings. 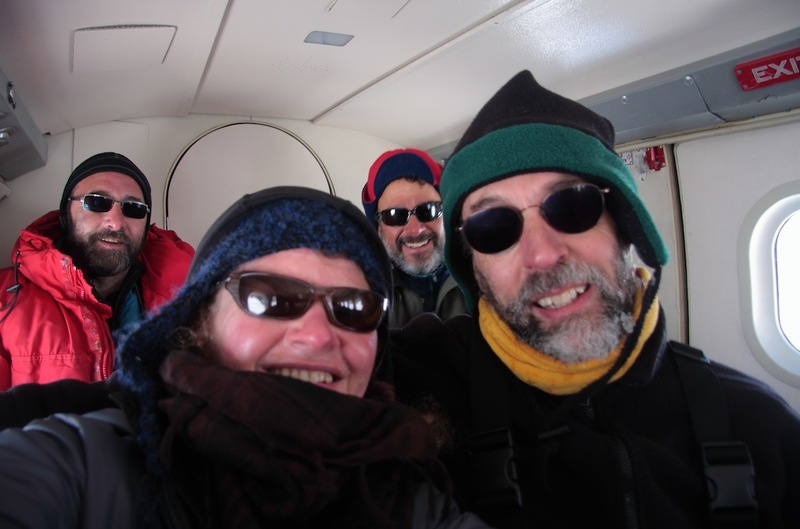 Ronald Ross, Erin Pettit, Ted Scambos, and Terry Haran squeezed into a Twin Otter for a flight from Site Beta to Rothera Station.